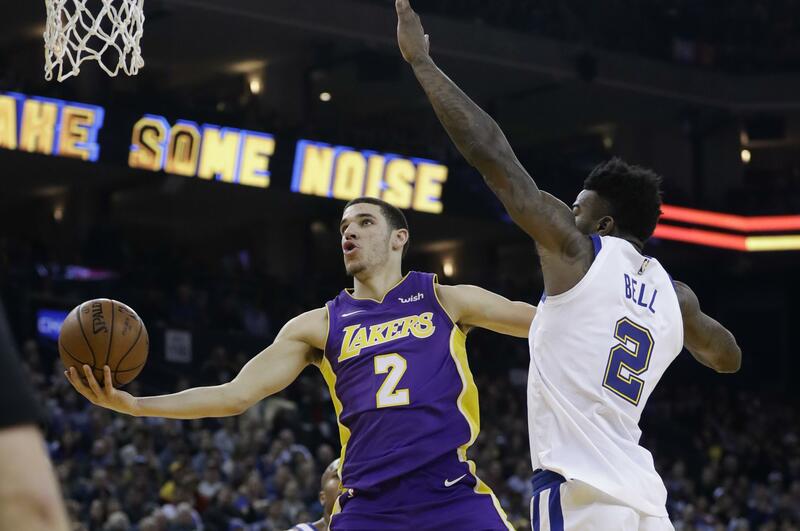 Fri., July 13, 2018, 3:52 p.m.
EL SEGUNDO, Calif. – Lakers guard Lonzo Ball is scheduled to undergo arthroscopic surgery Tuesday on his left knee. He’s expected to compete with the recently signed Rajon Rondo during training camp this fall to be Los Angeles’ starting point guard. The 32-year-old Rondo agreed to a one-year deal worth $9 million this month to suit up alongside LeBron James. Published: July 13, 2018, 3:52 p.m.